TPRC is seeking submissions for its 46th conference, including papers, posters, panels, a Student Paper Competition, the Graduate Student Consortium, and the Charles Benton Junior Scholar Award. The conference will be held at American University Washington College of Law in Washington, D.C. on September 21-22, 2018. Overview: TPRC is an annual conference on information policy that convenes researchers and policymakers from academia, industry, government, and nonprofit organizations. 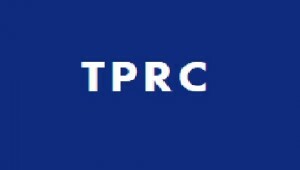 TPRC strives to inspire top quality information, communications, and technology policy research, and to connect researchers, policymakers, lawyers, and practitioners. TPRC is the longest-running conference of its kind, and has a legacy of showcasing cutting-edge research across multiple disciplines and international perspectives.